You know what’s fun? Helping someone promote their new book. I love books. I really, really do and if I had a picture of me hugging a book, I’d totally post it up. Alas, I do not. What I do have are book descriptions and a bunch of pictures you’re gonna look at. Because you love this blog and you’re interested in what the hell is going on. Personally, I don’t like starting books in the middle. So, for your perusal, here’s book one in this action-packed trilogy. Nick Hunter used to be a contract killer. Now he’s cut all links to his former lifestyle and can at last relax and live a normal life. He settles down to married life. He has a son. He adores his little family. Unbeknownst to him, shadows from his past step forward to shatter his short-lived peace. His wife is dead, his four-year-old son kidnapped, and it looks like someone is trying to frame him for murder. Under pressure, broken, is there anything Nick wouldn’t do to rescue his son? A fast-paced, edge-of-your-seat read that will keep you turning the pages to the very end . Need more? Okay. Watch this. And now, book two. The one that is available today. On Amazon. You don’t need a bigger hint, do you? Comfortable in the knowledge that his good mate, Tequila, is perfectly able to look after his loved ones, Nick Hunter does exactly what he shouldn’t do and proceeds to track down and eliminate every person involved in his son’s kidnapping. But where will the chase end? And has he bitten off more than he can chew? 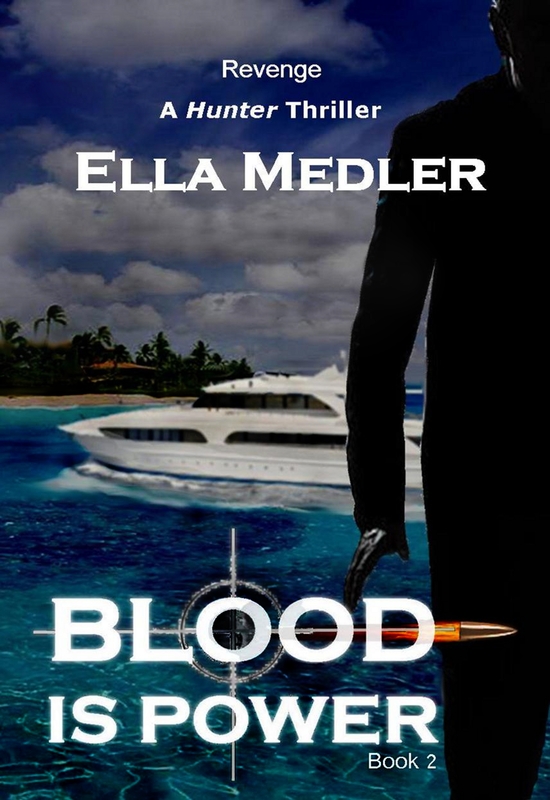 Nick discovers a tangled net of drugs, human slavery, and corruption. Will he enter the lion’s dean? Will his family stay safe? Will he be framed for murder? Jack Reacher, eat your heart out. So here’s what you’re gonna do. You’re gonna go to Amazon tomorrow, pick up the two books, read them, love them, review them and then wait anxiously for the third book to come out. Why? Because you guys are AWESOME. But wait! She does have one more book for you that’s a bit on the softer side. 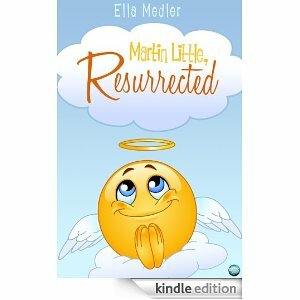 Martin Little, Resurrected is a quirky and original novel which seamlessly blends the daily irritations of contemporary life in Britain with an unusual and unexpected setting. The storyline is action-packed, moderately thought-provoking and relentlessly funny. In order to rescue the girl with whom he has fallen in love despite his better judgement, Martin has to set aside his snobbish hang-ups and inhibitions and work together with his newly acquired friends, a gang of lawless misfits whom he despises. The plot thickens and picks up pace as the loop of officialdom trips them up and the law threatens to catch up with them. Through all this, Martin has to stay one step ahead and find help where it doesn’t seem possible in order to earn his friends’ and his own freedom. Essentially a light-hearted journey of discovery and self-improvement, the many dizzying twists and heady surprises make this story an engaging read and a real crowd pleaser with universal appeal. Can’t make up your mind? Get them all! 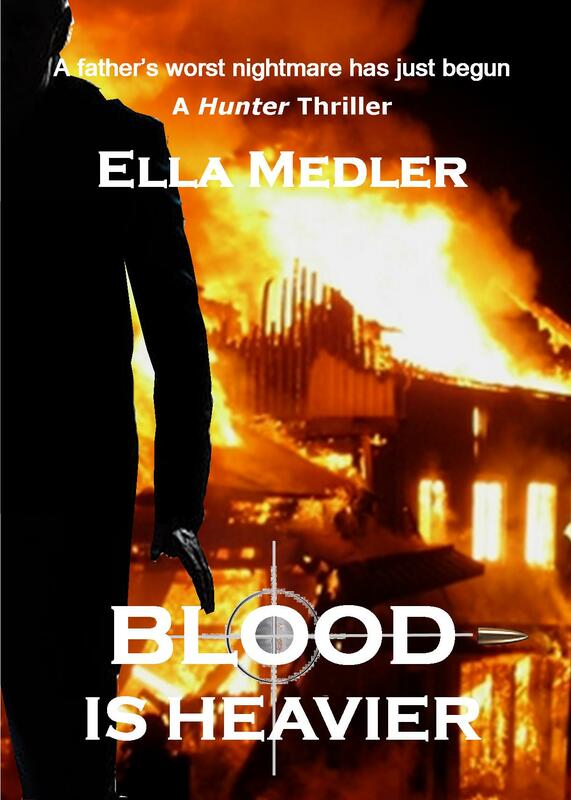 Then ‘follow’, ‘like’, ‘tweet’, ‘want to read’, and review Ella below!